When you think about your team, you want to make sure they have everything they need to be productive. An employee prospers when they have a clean space, clear directions and easy to use tools to get the job done. For student housing front offices, keeping an efficient work environment isn’t always easy to maintain. With EZTrackIt, you can manage your operations and your team to keep an organized and stress-free environment. 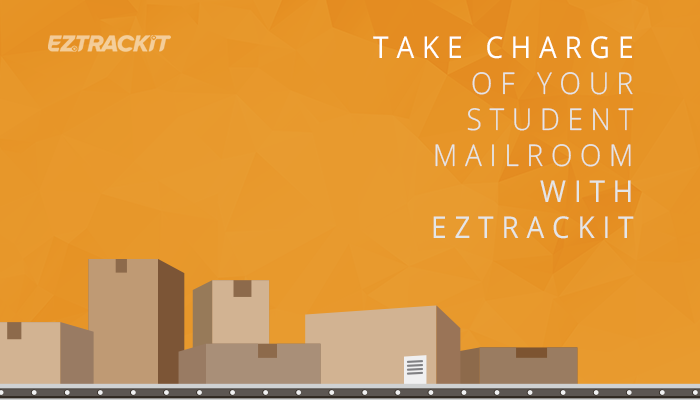 Our software helps student mailrooms like yours become more organized and lower stress by creating a seamless process to log, track and manage incoming packages. From documenting the packages arrival, to sending a notification to its recipient, to obtaining a signature to verify the package has been picked up – we help you every step of way. Whether you want to print a log to double check the packages in inventory, or you need to print out a new label for packages, customize the fields and look of whatever document you print! Do you need to show the boss what’s happening in the mailroom? Create a report that shows the flow of incoming and outgoing packages. Find peak times of day or any other pattern going on in your mailroom. BONUS: You can use EZTrackIt to send a quick note to your entire community! Are you closing early? Maybe tomorrow is a holiday, send a notification to your entire database in a few simple steps! If you have multiple employees using EZTrackIt, give them their own user login and edit their permissions. You don’t want a brand new freshman intern accidentally deleting your entire database… Yikes! If there is one takeaway from this article, EZTrackIt is one of the most customizable tools you’ll use. To add to that, if there is something you’d like to see in EZTrackIt, we’ll work with you to get that feature developed to make your day to day easier! If you’re interested in adding a customizable tool to your office, consider using EZTrackIt. You can request a free demo to see our student housing mailroom software in action, and we’ll be one click away if you have any questions.